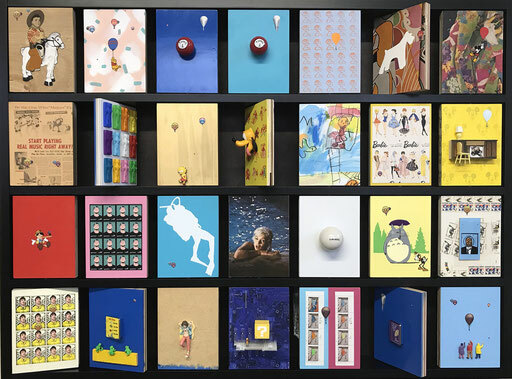 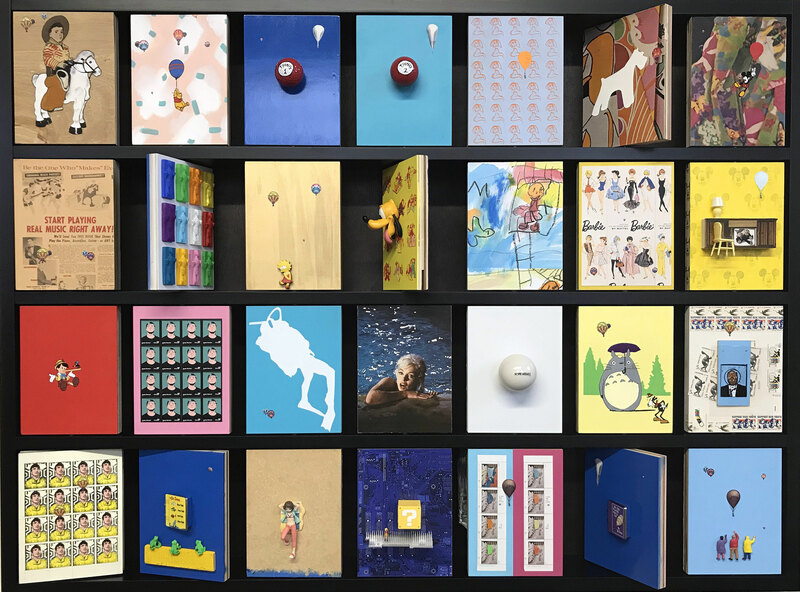 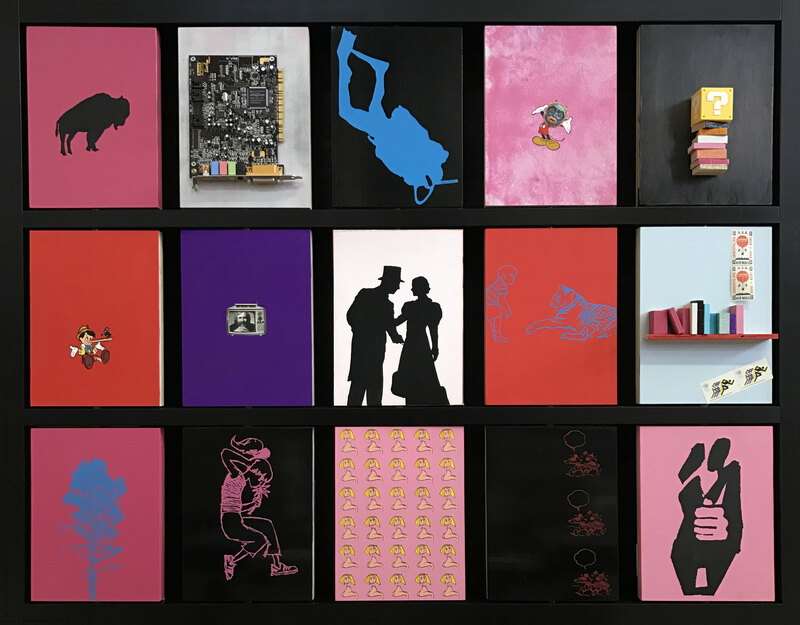 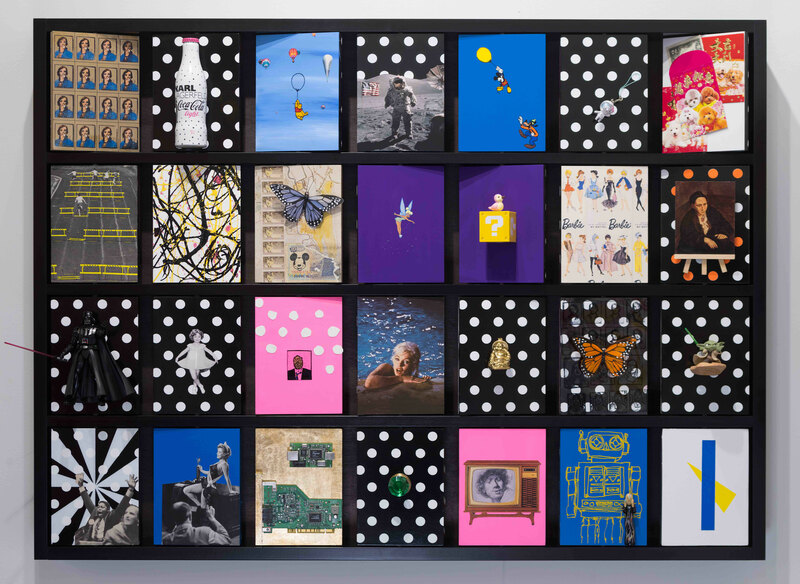 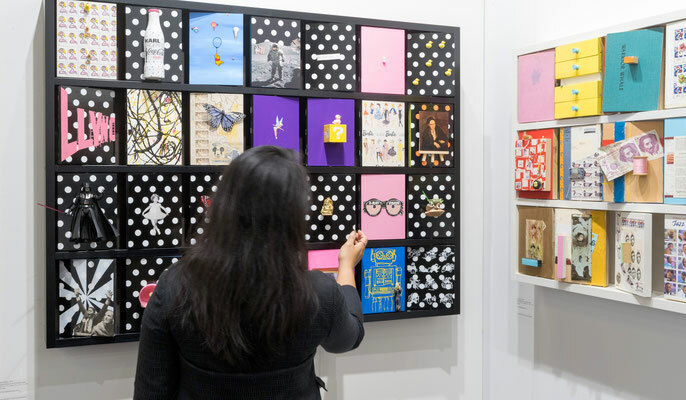 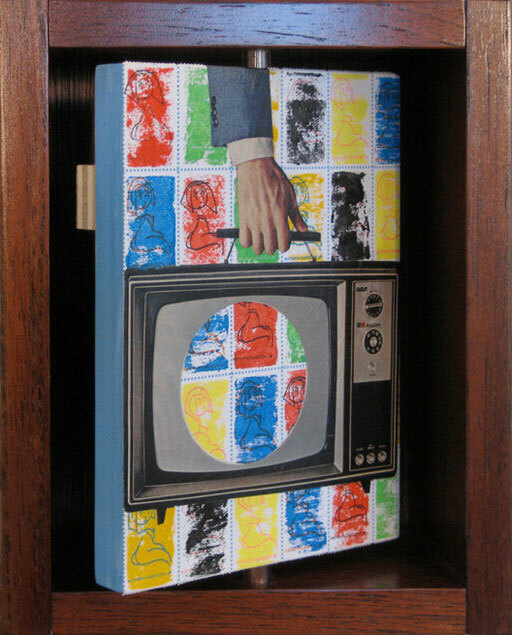 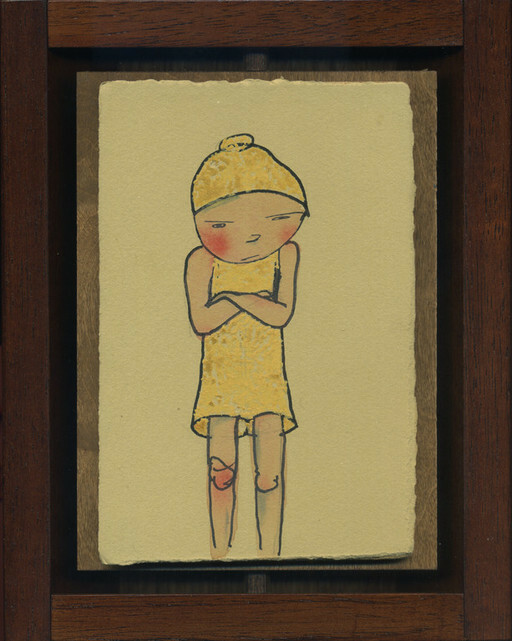 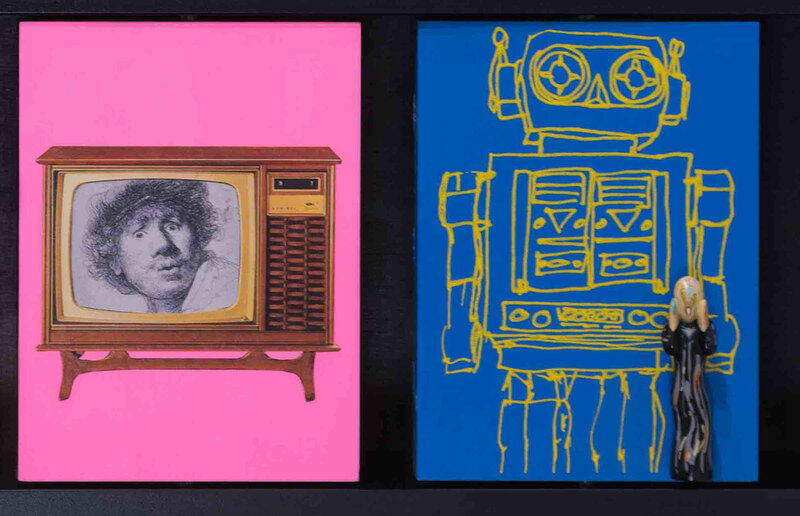 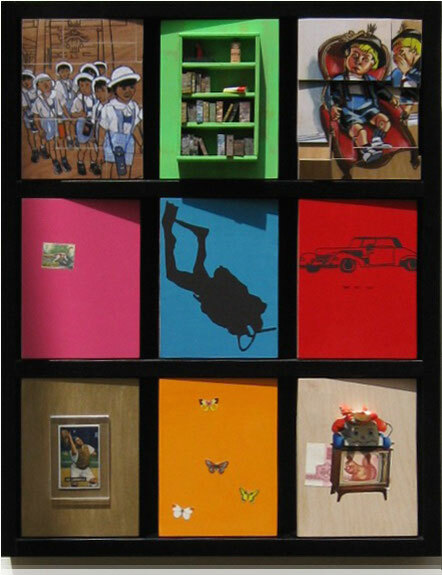 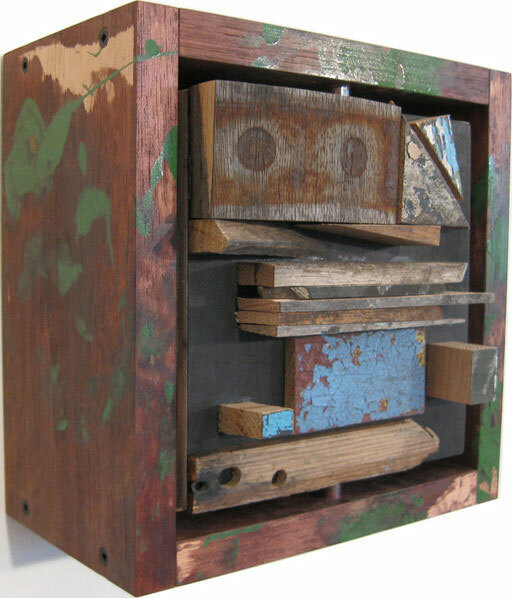 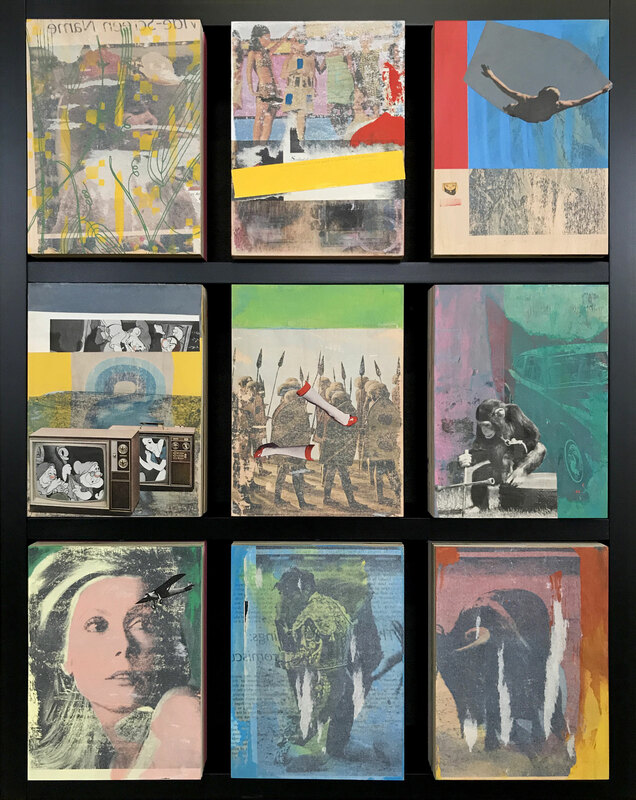 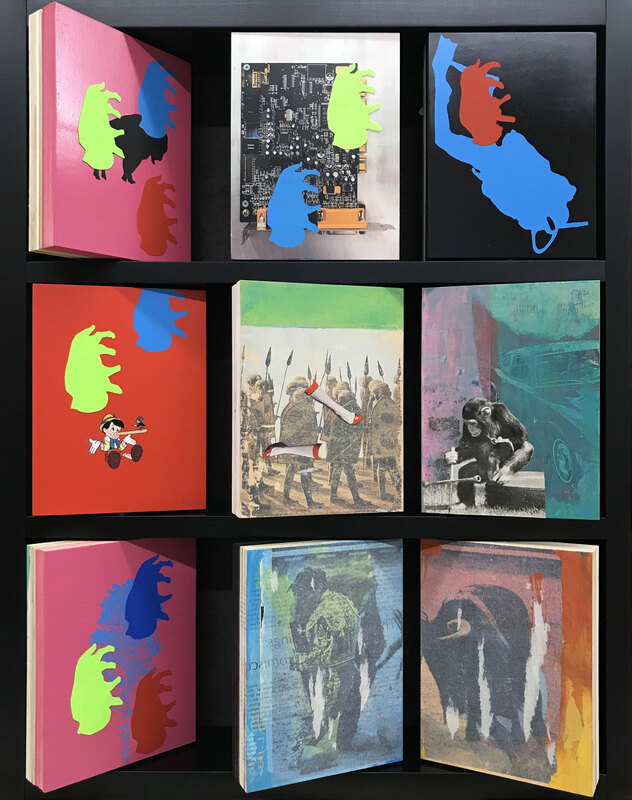 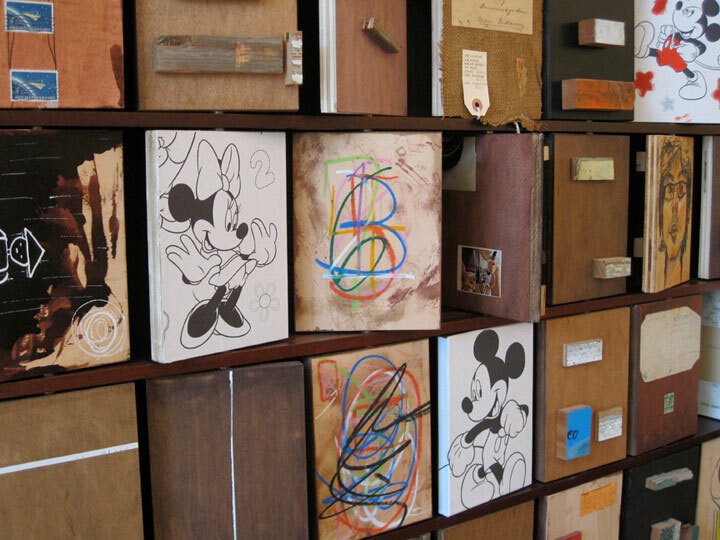 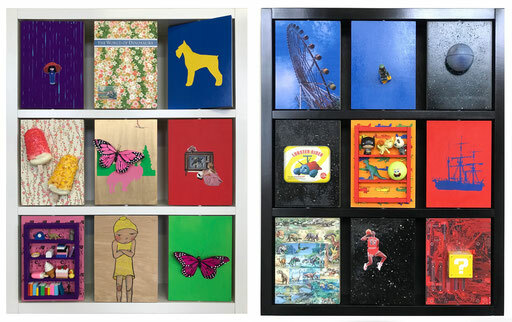 Described as a Cabinet of Curiosities, each work in this series contains several unique collages, on double-sided wood blocks that spin by hand, allowing the viewer to interact. 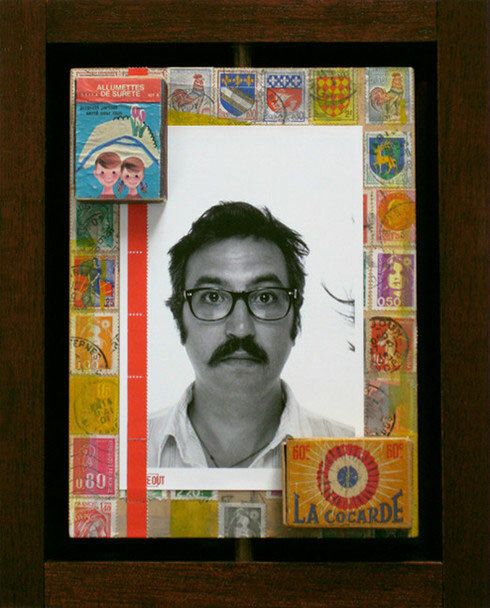 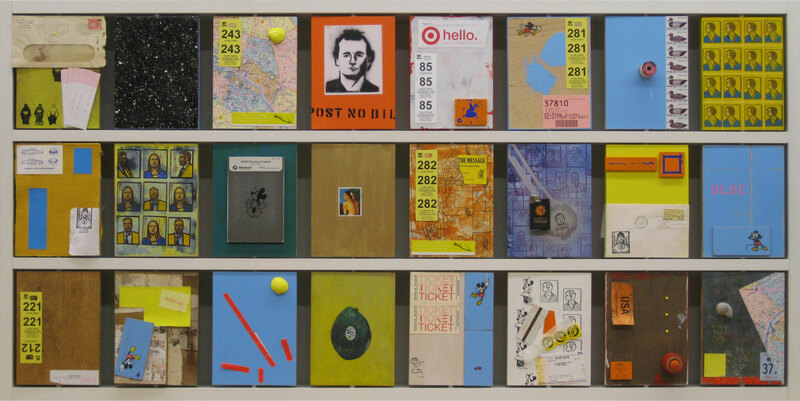 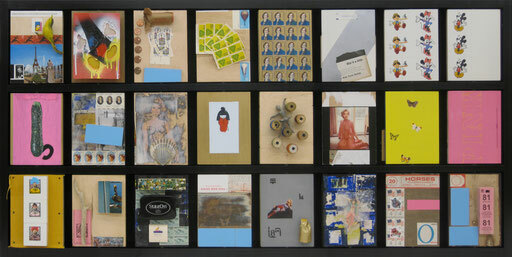 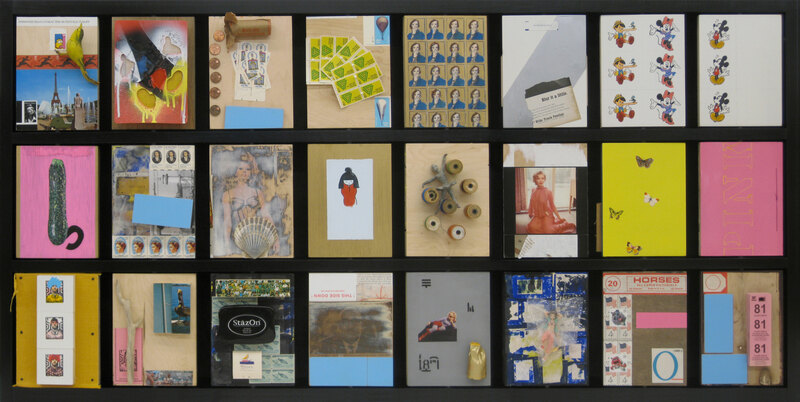 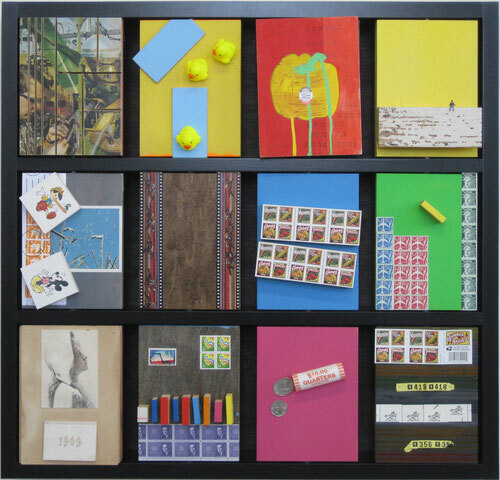 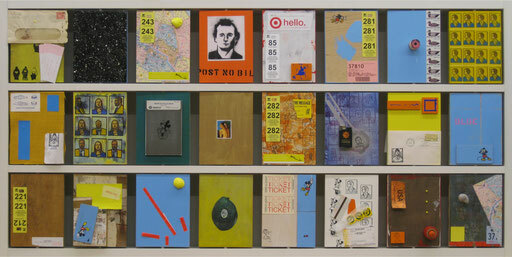 Each collage includes original paintings, postage, magazines, and found objects collected from daily life and travels. 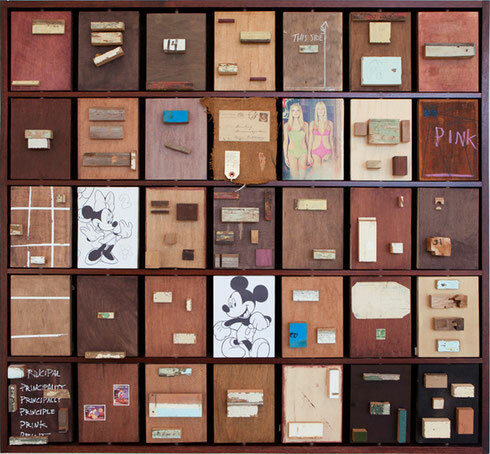 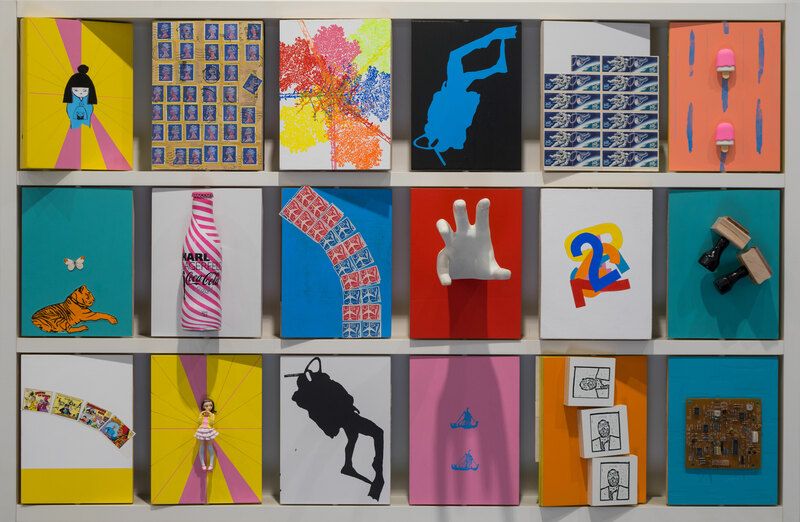 While placing these objects in an intimate new context, the Artist hopes viewers take time to appreciate the beauty of the materials, such as an intricate stamp or a once prized childhood toy.